Nobu Matsuhisa’s massive empire currently stretches 5 continents with over 30 restaurants; he’s easily one of the most successful high-end chef/restaurateurs today. However, it all began here in 1987, where Matsuhisa would establish a name for himself and where he met some powerful partners that helped him expand the brand worldwide. 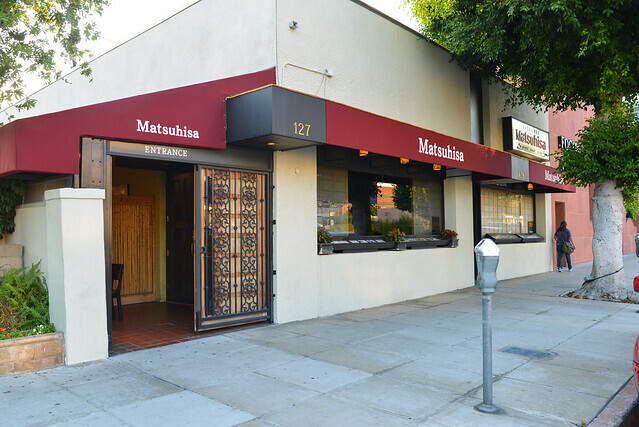 Almost thirty years later, Matsuhisa is still going strong on La Cienega’s restaurant row. 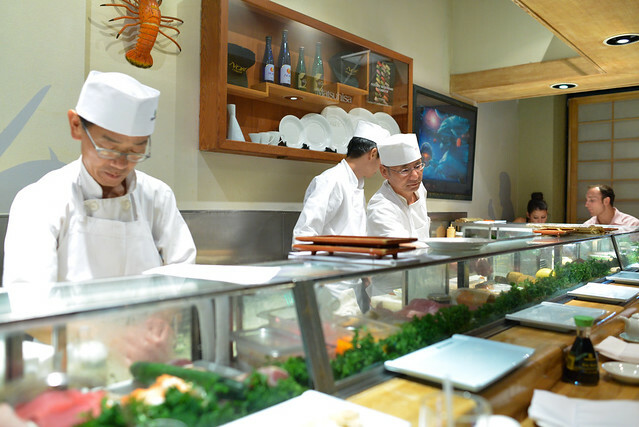 I was first introduced to Matsuhisa’s food at the original Nobu in New York many years ago and loved it. I’d frequented his restaurants in LA when I first moved here (and Las Vegas too), but it’d been many years since this latest visit. 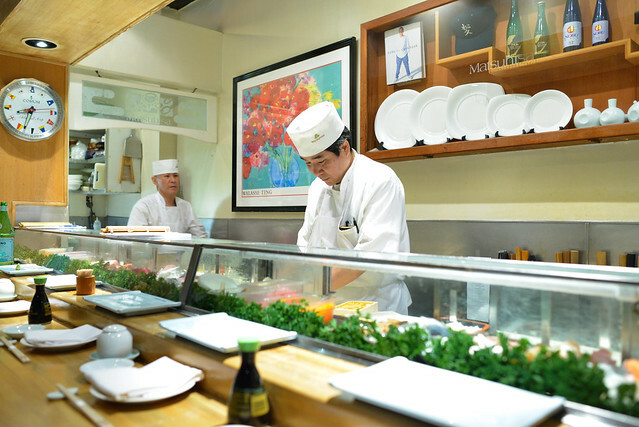 At Matsuhisa, a rather extensive a la carte menu is available from sushi/sashimi to hot and cold plates, and even dishes like chicken teriyaki and udon. Normally I’d find this pretty disturbing, but I feel fairly familiar with the menu. However on this evening, we ordered the omakase; available at levels of $80, $100, and $120, we went right in the middle. 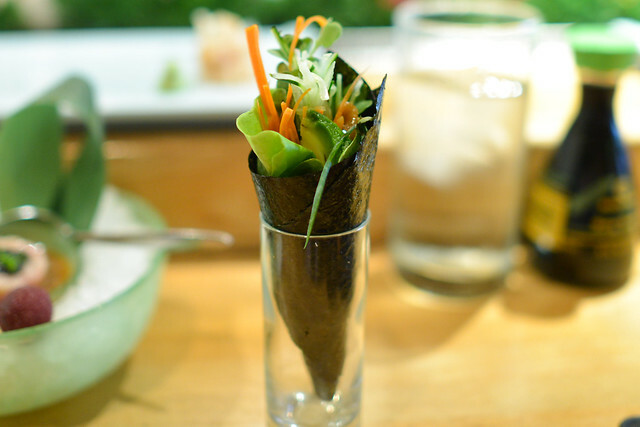 This roll had sat on the counter a little bit; the seaweed was a little soggy upon delivery. However the interior had plenty of texture from the vegetables. 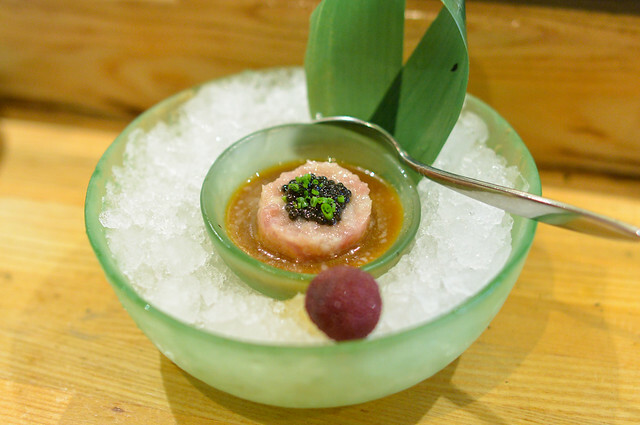 Caviar and toro combined for some expectedly great flavors, though the chefs were a little heavy-handed with the fresh wasabi in this one. 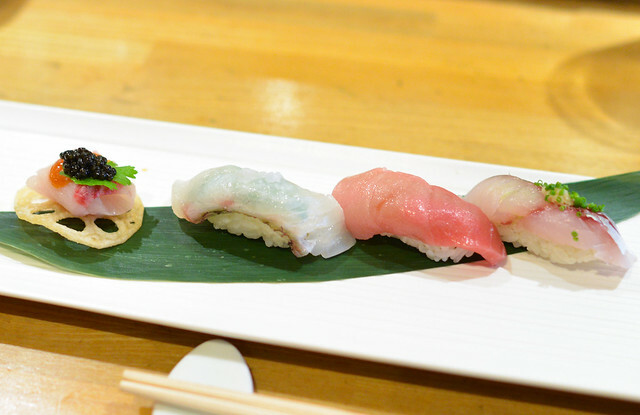 Next up was the sushi course of four nigiri. These were all good examples of the fish, though not exceptional. A duo of ‘new style sashimi’ was next. 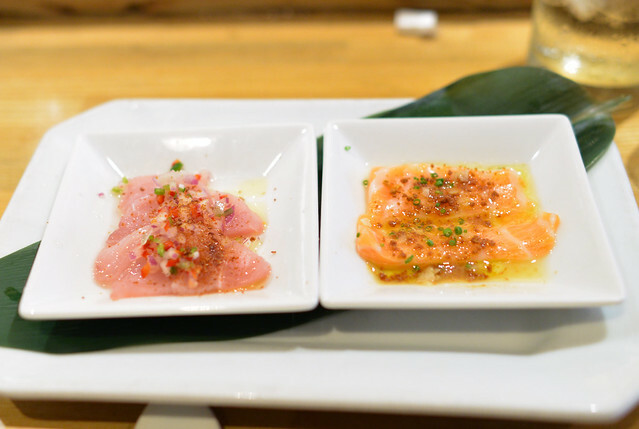 On one, tender albacore was paired with bright onion and jalapeno flavors, while the other featured rich salmon belly with the depth and crunch of miso. Both were quite tasty. Definitely not something I’d ever order; the seafood was all good though. 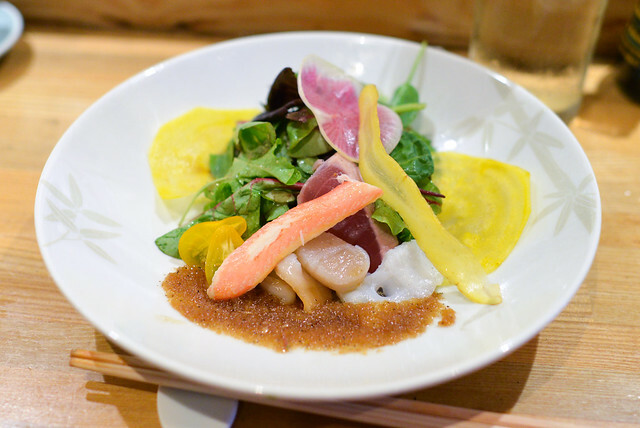 The ‘Matsuhisa dressing’ was actually very savory and only subtly acidic, which is something I liked. I totally didn’t understand this one and really disliked it. 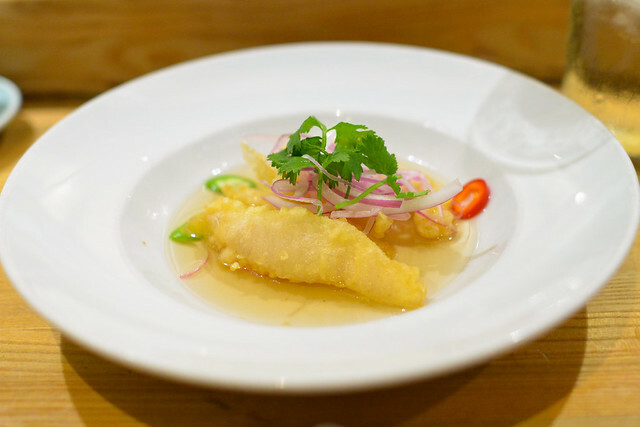 The crispy tempura instantly got mushy sitting in this vinegar sauce. Further, the vinegar sauce was way too sour and totally overpowered the fish in a tongue-buckling way. Both of these collars were very good. 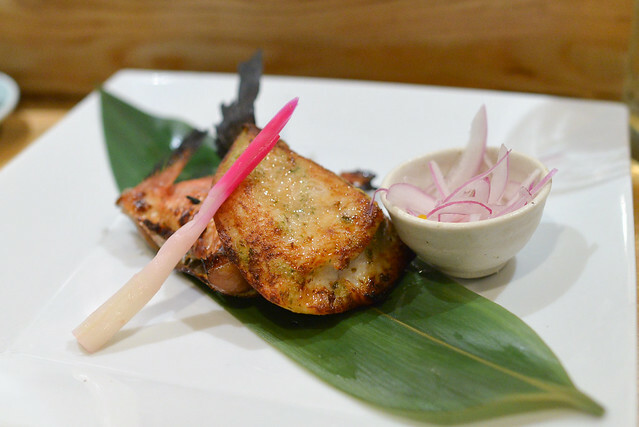 In fact, the yellowtail was exceptional – maybe the best fish collar I’ve ever had. It was very moist and flavorful, perfectly cooked with some raw onion to balance. However, I still would’ve preferred a few varied smaller courses instead of this entree-sized one. 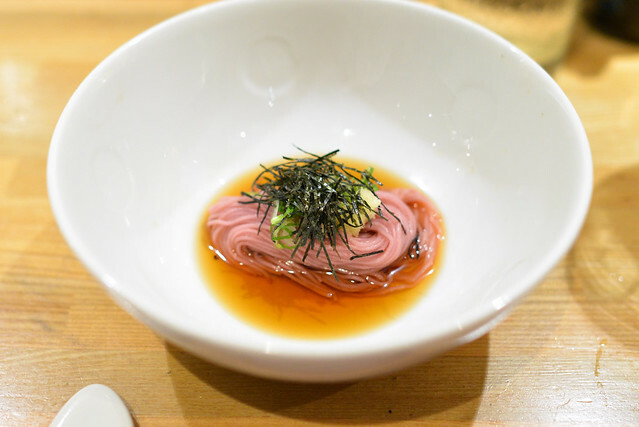 Simply prepared, the somen had a nice chew with a salty/savory broth. Nice colors. Pausing before dessert, we were asked if we wanted to try anything else. Since it’s been so long, I wanted to try some old favorites – the next 3 courses were a la carte add-ons to the omakase. 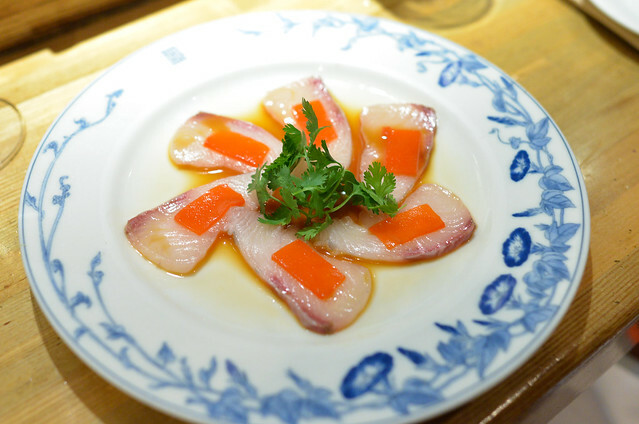 Thick-sliced kanpachi was great, complemented by the ponzu. This agua de chile was lost, though. I used to love these when I was younger, frequently ordering them at Nobu. These two scallops (which was probably one sliced in half) were slightly overcooked though and on the oily side. Too bad. 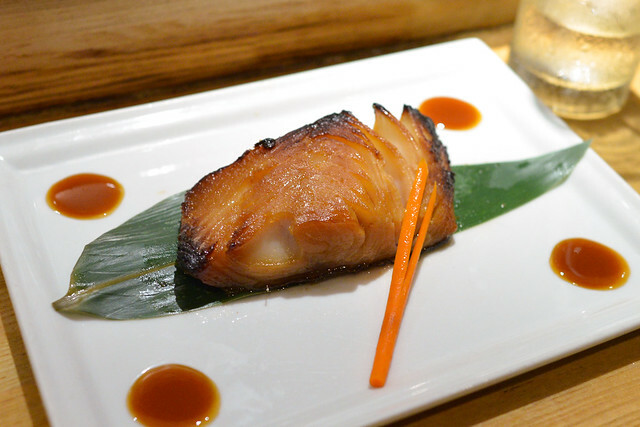 A classic, the black cod was rich and buttery with the sweet-savory glaze. Still a highlight here. 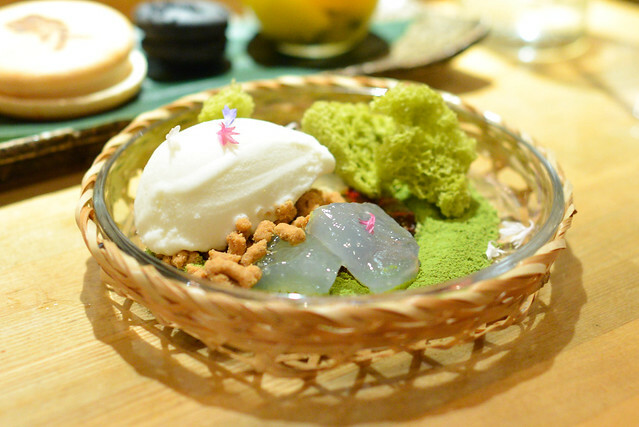 A duo of desserts completed the meal and the omakase. I liked the selection, desserts here are definitely a step up from most Japanese sushi bars. 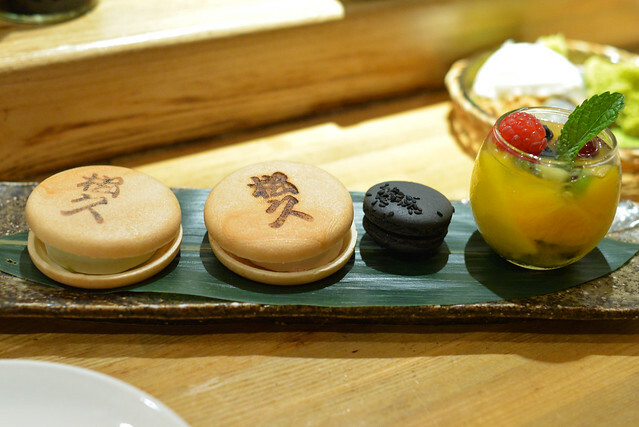 The green tea cake with ginger ice cream was my favorite, but the black sesame macaron was no slouch. The meal at Matsuhisa this evening was a little hit or miss. 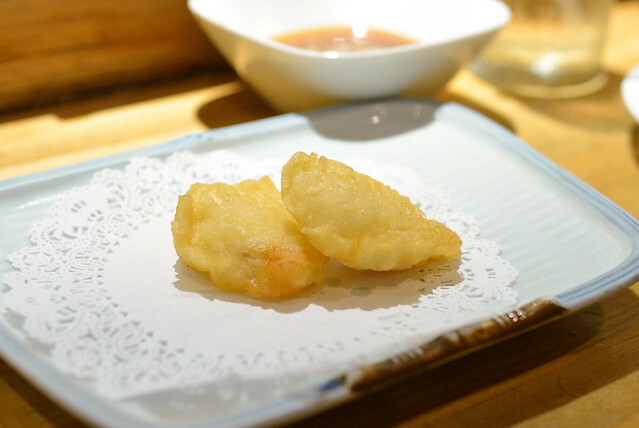 I think the restaurant tries to do too much and it’s clearly affected quality (granted, I think much of Matsuhisa’s success is due to its large appeal, reflected in its extensive menu and the chefs’ openness to substitutions). It’s just too difficult to do everything well. Next time, I will probably stick to a la carte.